In Sonoma County Carneros wine appellation. $10 tasting fee, waived with purchase of bottle. VERY dog and kid friendly. HUGE property. Lots to explore. Almost feels like you are at a park! Six ponds, thousands of rosebushes, fountains and vintage railroad cars. Lots of picnic tables. Bring in your own food, buy a bottle, and relax. Picnic tables can be reserved. On a hot day they have bottles chilled for purchase. Tasting room has a little deli with cheese, meats and snacks. Staff is quirky, friendly and very informative. Luckily there are other outside tasting stations. Super reasonably priced wines. Most cost between $14-$37. Offering both whites and reds. Supposedly all wines here are vegan. Find Cline wines at select restaurants and grocery stores, shipped around the world. Very active and up to date social media presence. 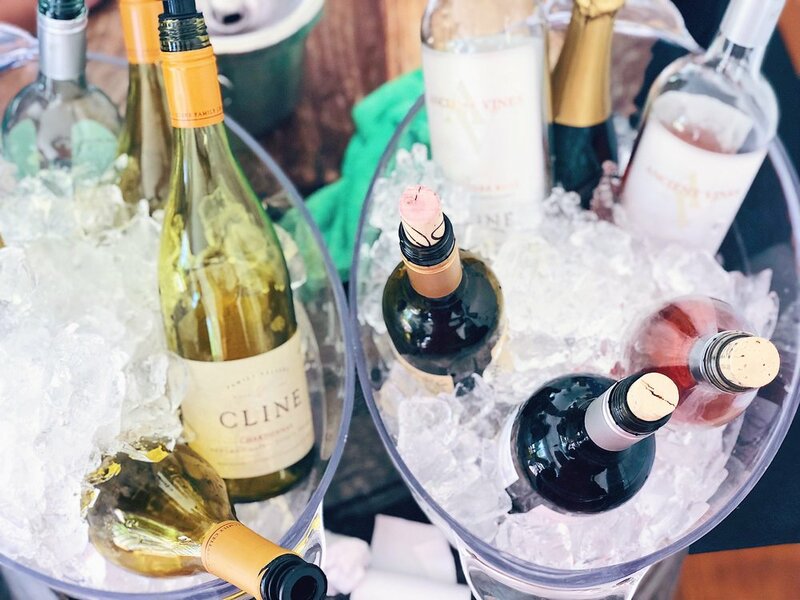 Cline Cellar's was started in 1982. The year I was born! Jacuzzi Vineyards which is across the street. The Olive Press. The most highly awarded olive oil in the country. The tasting room is a rustic 1850's farmhouse that is original to the property. Feed fish in the pond. Browse the Mission Museum (free of charge) with models of 21 California Missions. The Mission models were originally from the 1939 San Francisco Fair. The Cline family restored the models and created the museum. Enjoy some winery critters: lots of aviaries with brightly colored exotic birds. Fred Cline (owner) also owns Green String Farm and Institute in Petaluma. The Clines also own Villa Laura in Tuscany which was the set for the movie "Under The Tuscan Sun." Cline Cellars does not use any pesticides or herbicides in their vineyards. They use sheep and goats to help fertilize and keep weeds away. Dixieland Jazz Festival every year around July. Halloween Party where the barrel room is transformed into a Spooky Laboratory. Every year they host a Easter Sunrise Service at the adobe mission on property. "We need to bring our mom's here. They would LOVE the birds! We need to bring your sister and my friend Katie and all the kids! They would love the fish pond!" Plan a day of it. Get everyone you love to block out time on their weekend calendars. Decide who's bringing what. Potluck/picnic style. Get over to Cline before the mad lunch rush. Stake out a picnic table or throw a blanket down in the grass. Buy a bottle of cold Pinot Gris.